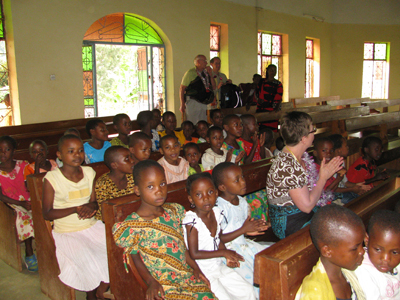 The St. John’s Companion Parish Ministry Team, established in 2010, works to deepen relationships with our sisters and brothers in the beautiful, Mramba Lutheran Parish of the Pare Diocese of the Evangelical Church in Tanzania. A covenant has been signed between the parishes, a long-term relationship has been firmly established, and ideas for partnership are being shared on a continuing basis. 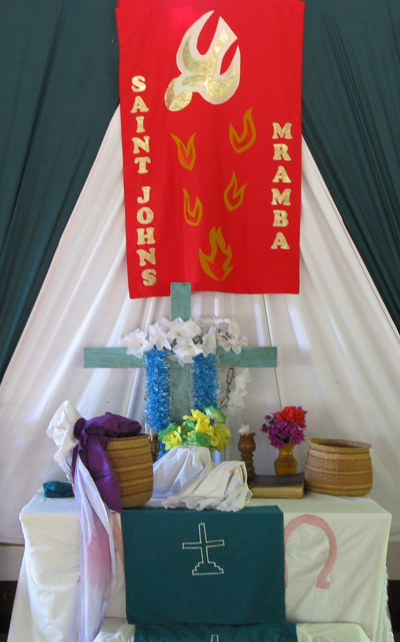 Members of St. John’s travel to Mramba approximately every 18 months. Including the main congregation in Mramba, the parish also has two sub-parishes in the nearby villages of Mgambo and Mrungo. The companion parish ministry team has sponsored auctions and solicited donations from the congregation. Funds have been used to provide windows and flooring in the main church and to help build an addition for the Mgambo sub-parish. A relationship with Vuje Primary School in Mramba has been established and funds raised at St. John’s have been used for roof repair at the school. In addition to the Vuje school, the parish also has two other primary schools—in Mgambo and Giriama. In 2010 the three schools had a total of 1,179 children (583 boys; 596 girls). The families of these children must provide the required uniforms. 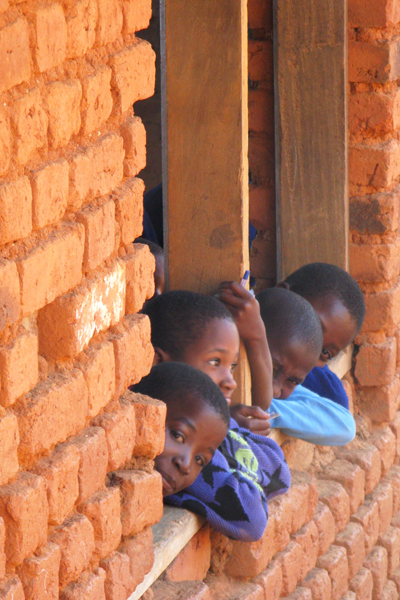 The Tanzanian government provides the school buildings and pays the teachers. All upkeep of the buildings, desks and school books are the responsibility of the local school district. Children within walking distance go home for lunch, but those whose homes are too far away must remain at school, many without lunch. We help support programs at nearby Gonja Hospital, a hospital of the ELCT. The women of St. John’s have made numerous baby quilts for the hospital, and travelers have delivered them. Each newborn delivered at the hospital receives a quilt for the journey home. We also have sent financial donations to help support the Kianga Group for AIDS orphans, a community program through Gonja Hospital. The Companion Parish Ministry Team is providing ongoing funds to support the Des Moines Downtown Rotary Club’s newly created Children’s Club, which teaches life skills to at-risk and vulnerable children and provides them with a warm nutritious lunch. The pilot program will be established in the Mramba Parish. Our team’s role is to provide additional financial support for the teachers’ stipend, to purchase food for lunch and supplies for classes. The Rotary Club is financing the start-up costs of this program, including training of teachers, facilities for classes, and much of the food. Pray for our brother and sisters in Christ in Mramba. Pray for the work of the Companion Parish Ministry Team. Contribute financially to Mramba projects. Learn about the culture and life of Tanzanians. Take a mission trip to Mramba Parish. Join the Companion Parish Ministry Team.